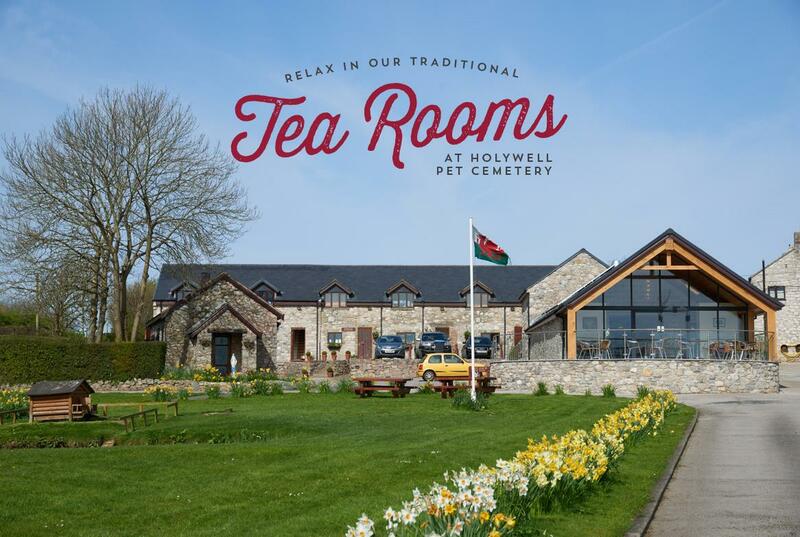 Traditional Tea Rooms set in the beautiful, Award-Winning gardens of Holywell Pet Cemetery. Serving Homemade Meals, Cakes and Bakes along with fresh filter Coffee or Tea. All served on Fine Bone China with full waitress service. Booking online was very straightforward. The service is impeccable the staff are very friendly and efficient, nothing is too much trouble. The atmosphere is relaxed and the tables are set out beautifully with tablecloths, runners and delightful china crockery. The food does not disappoint, it is excellent quality and cooked perfectly, the cakes are amazing. 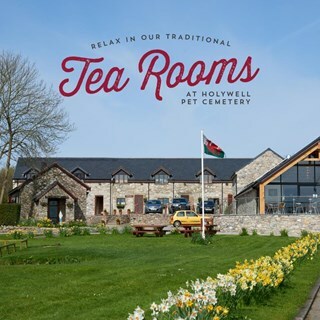 It is excellent value for money, it compares favourably with other tea rooms in the area but none can hold a candle to the whole experience at the pet cemetery Tea Rooms. This was my 3rd visit to the tearoom, always made very welcome & food delicious. Next time I’m looking forward to bringing my dog Barney along. Booking online was brilliant & easy. Highly recommend anyone thinking of visiting. Food was lovely and staff very attentive, very easy to book online, will definitely be back. Great food, service and lovely place. Will definitely be back. Always love our weekend breakfasts at the tea rooms. The young waiter was extremely friendly and the food was delicious. We have recommended it to lots of people already and will definitely be back. First time Coming for afternoon tea & very pleasant experience. Online booking was very easy to use, staff were friendly and very attentive and we could not have been made to feel more welcome. We will be back. As always, the food was delicious and the quality, consistent. Lovely mother’s day lunch. Staff are so helpful. Nothing is too much trouble and the best Welsh rarebit EVER!!!! It was the first time we had visited. We will definitely be back again!